Tfung was doing some work in Ottawa, and I had the chance to take a small getaway from a stressful time at school to visit him in the capital of Canada. 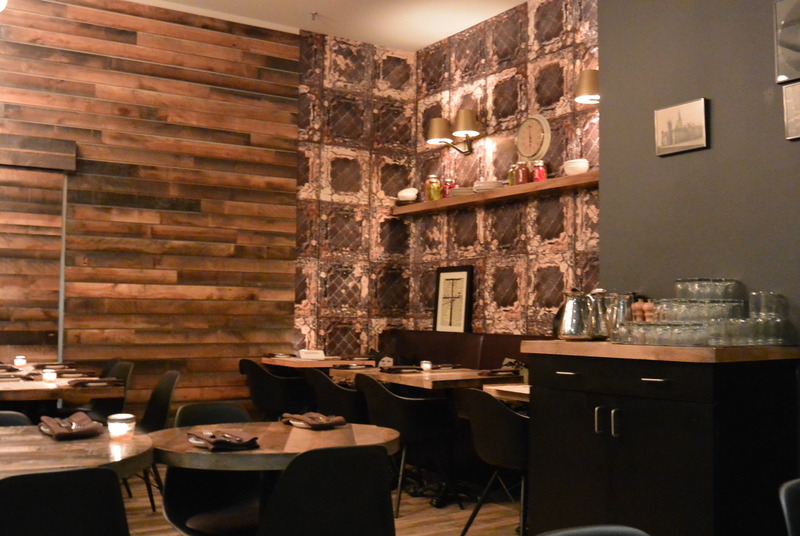 We booked for Albion Rooms, which is advertised as a farm-to-table restaurant. Fitting with that edge, the interior had a very rustic-chic feel, with an interesting juxtaposition between their slightly more feminine pillows with the very manly reclaimed wood plus iron combo. 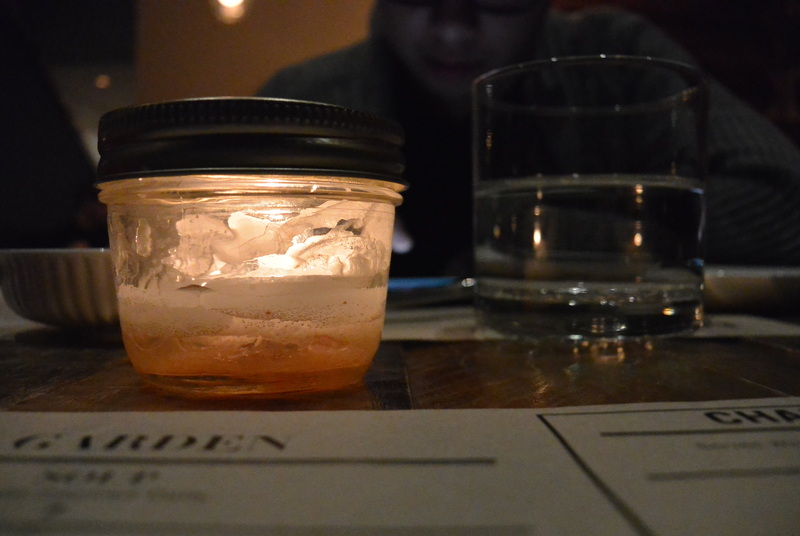 Each table was lit with an obligatory mason jar center candle, and the water glasses, down to the menu was very modern-rustic and simple. 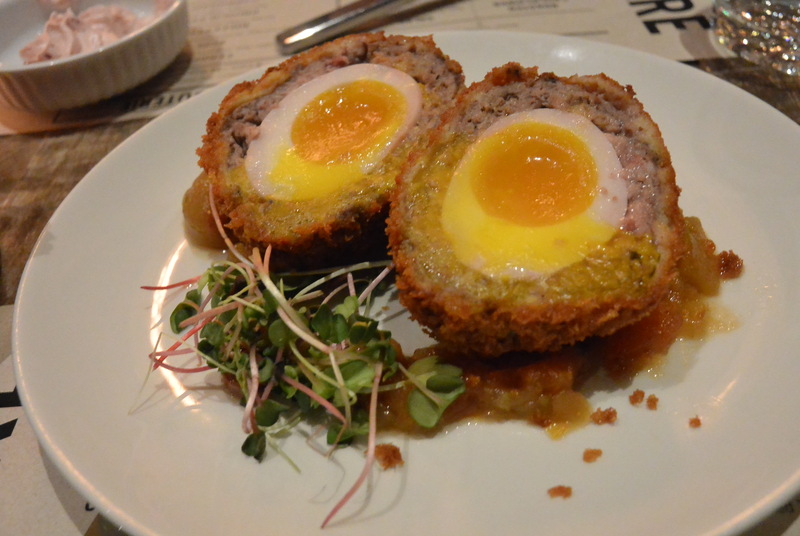 We ordered the scotch egg, which was a mix of chicken, pork and herbs enveloping a 6 minute fresh egg, breaded and fried. It was served on a bed of apricot, apple, pear mix and some microgreens. The herbs created a very sharp flavour, which both balanced with the gamey taste of the meat, but still standing out on its own. The breading was done well, and the egg was runny enough without soaking the whole dish. 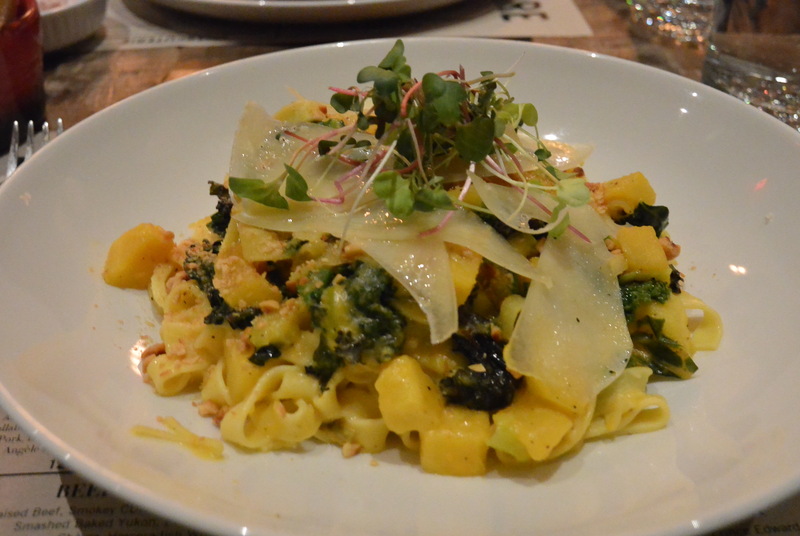 I ordered the squash pasta with shaved aged cheddar and rapini. I was a little disappointed in the flavour of the dish, as I had a craving for a saltier, more hearty pasta. The flavour was weak, but was therefore able to showcase the pure taste of the butternut squash as well as the flavour of the pasta itself. The pasta was cooked al dente and was freshly made. The rapini was a little too burnt/smokey for my tastes, but definitely added the heartiness that I had wanted. 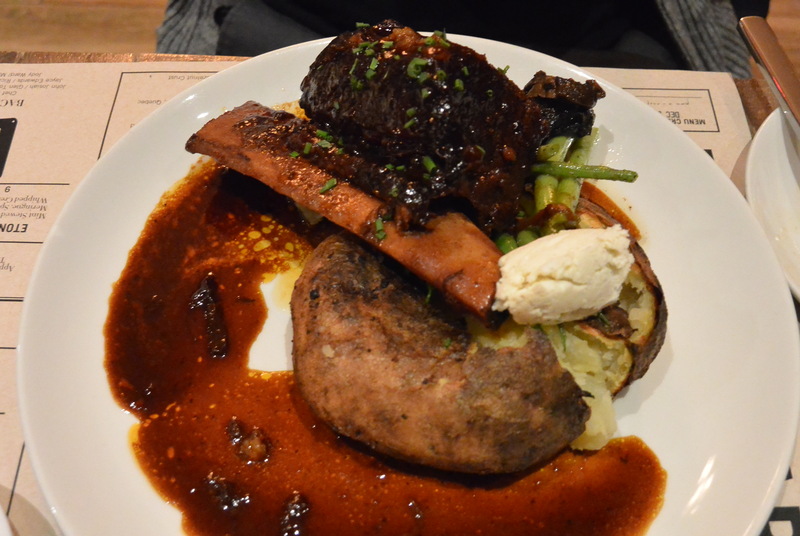 tfung ordered the beef short ribs, on baked potato and asparagus. The beef ribs were incredibly tender and melt-in-your mouth. The sauce was sweet but smokey at the same time. I definitely thought it was a plus that there was enough sauce to try it with all the other ingredients in the dish. The asparagus was cooked well, with the outside still slightly crunchy and the inside thoroughly cooked. The baked potato was nothing fancy, although they put a slight twist to the regular sour cream and mixed in whipped butter and herbs. 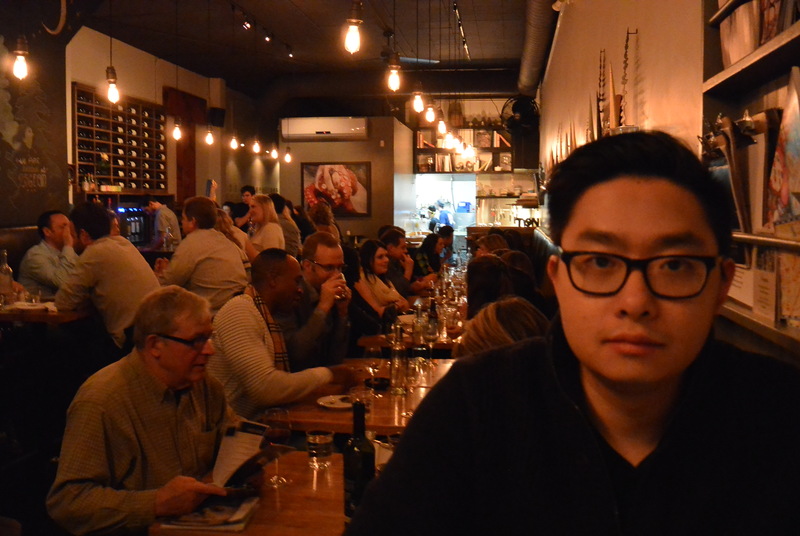 Overall, I loved the atmosphere, the service was acceptable, and the food was good. I didn’t think it was anything phenomenal, but given that it’s inside Novotel, and right next to the Rideau Canal Center, it was definitely a good stop for us after a day of shopping. If you’re into farm-to-table concepts, I would take some time to check out at least their appetizers and alcoholic drink menu here!